I’ve got to stop moving apartments. 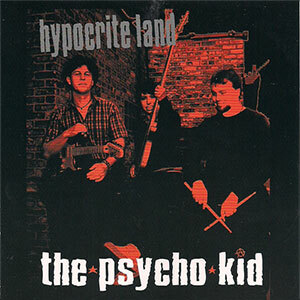 Once again I’ve lost the one sheet that came with “Hypocrite Land”, the new CD release by Chicago area trio The Psycho Kid. Thanks, however, to the modern miracle that is the Internets, I have their bio up online. Here’s the rundown: Glenn Brandt (vocals/guitar), Julia Zap (vocals/bass), Chris Morrow (vocals/drums)started in 2005, developing material for their next album, playing music, playing well, making people grit their teeth (not dentist friendly) and making people dance. I say these are all admirable goals, except maybe the teeth gritting part, but I am not a dentist, so I don’t really know. Ok, now that you know who the hell I’m talking about let me tell you a bit about the disc. 13 tracks of poppy punk rock with a good amount of crunch, not to say that the music is crunchy, but the instrumentation is very crisp, it’s snappy if you will. The vox have an interesting sort of talk-sing sort of thing going on with a decent amount of complimentary backups going on. Here is the weird thing though, I almost get the feeling that this disc was recorded at 78rpms and then down-shifted to 45 and then pitch corrected. I’m sure it wasn’t, but I get a weird impression that some of these songs want to be faster … ne, need to be faster. Perhaps I’m just impatient. 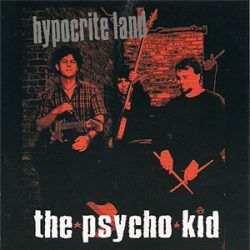 I tell you what though, I like The Psycho Kid. They are a hard working 3-piece combo keeping the DIY spirit alive and well in Chicago. Rock on!